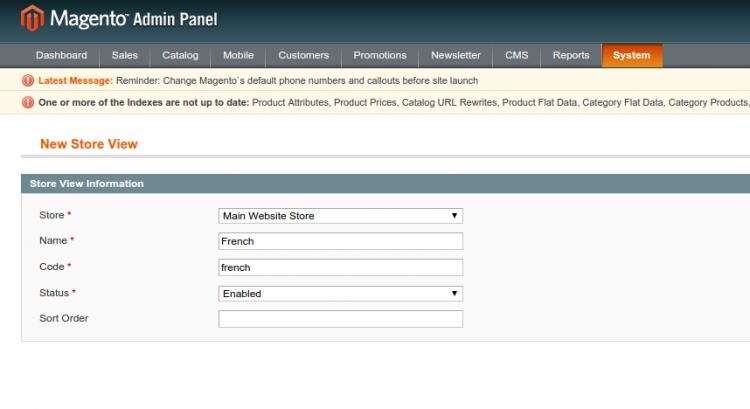 Magento platform gives a wonderful opportunity to operate a multi-language store. Since the share of non-English speaking Internet users is quite substantial, it will be extremely beneficial to go global and communicate with a larger audience. Creating an international image of your brand will let you play more competitively within the e-Commerce market. Stats claim that 75 % of consumers in non-English-speaking countries prefer to buy products in their native languages. Thus, adding mother tongues of your users will facilitate interaction with your website and drive conversion rates. Visitors will have better chances to find the exact product they are looking for and complete checkouts to purchase from you. You will also demonstrate that you care about all your clients and improve the overall shopping experience. According to the survey, 56% of participants spend more time on sites that catered to their native language rather than English. Moreover, it will be much easier to get top SEO rankings for your website in other languages than English, since there is much less competition. So, stand head and shoulders above your competitors and add new languages to your Magento shop or migrate to Magento platform with Cart2Cart to enjoy numerous advantages of a multi-language store. 1. 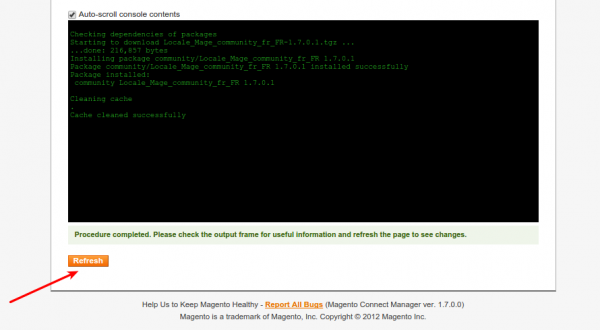 To install a new language go to Magento Connect and login to your account. 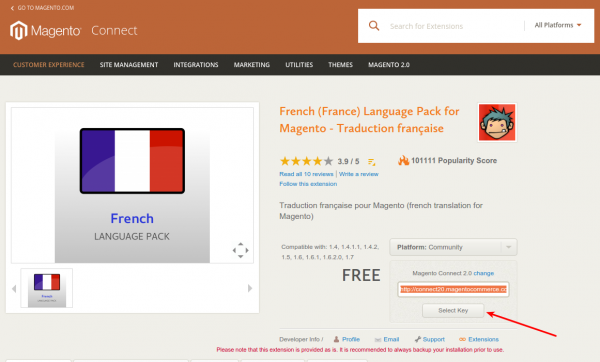 There is an extensive choice of language packages available on Magento Extensions Marketplace. In a search box type in the name of language pack you need, in our case we are looking for a French one. From a drop-down menu, just next to the search box, pick up if the package has to be designed for a community or enterprise platform and press magnifying glass icon. 2. Chose one from the offered list, but pay attention to its compatibility with the Magento version you are currently running. 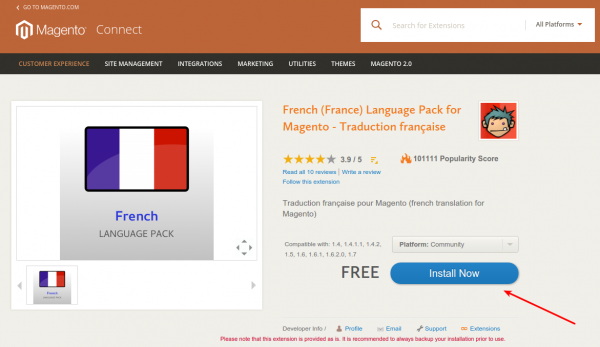 We decided on ‘French (France) Language Pack for Magento - Traduction française’. After opening a page of the language package click on ‘Install Now’ button. Note that you won’t be able to download the file, since the setup is done with the help of an extension key. 3. 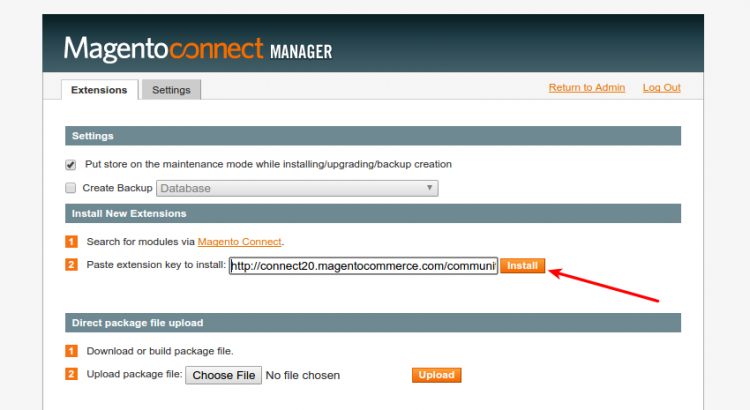 Choose the right version of Magento Connect. 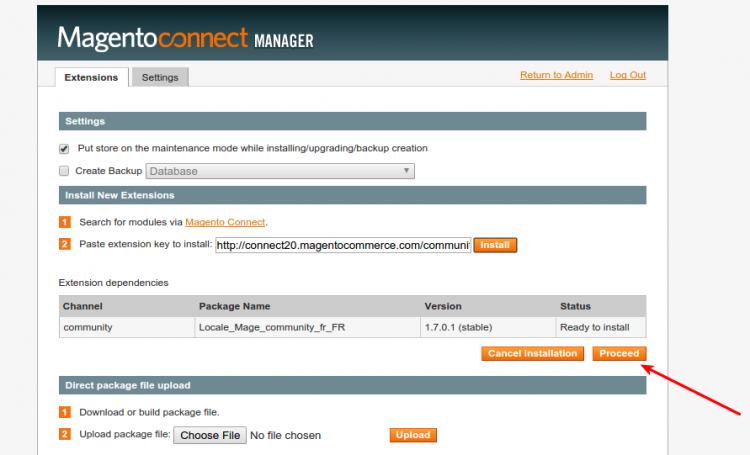 If you are using a Magento platform under version1.5 opt for a ‘Magento Connect 1.0’; for version 1.5 and higher chose ‘Magento Connect 2.0’. After that, tick the box with ‘I agree’ to the extension license agreement and click on ‘Get Extension Key’ panel. 4. After the license key appears in the box press ‘Select’ button and copy it. 6. 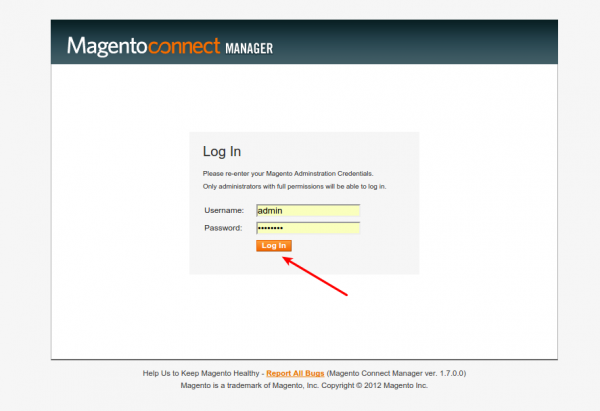 You will be asked to re-enter your admin username and password to get access to ‘Magento Connect Manager’. 7. In the ‘New Extension’ section paste copied extension key in an appropriate field and select ‘Install’ button. 8. In the ‘Extension Dependencies’ field the information regarding channel, package name, version and statutes will be specified. Check the details and click on ‘Proceed’ button. 9. The installation progress can be tracked in the output frame. After the massage ‘Procedure completed’ appears press ‘Refresh’ button to check up changes. 10. To continue with the new language configurations go back to the top of the page and choose ‘Return to Admin’ link. 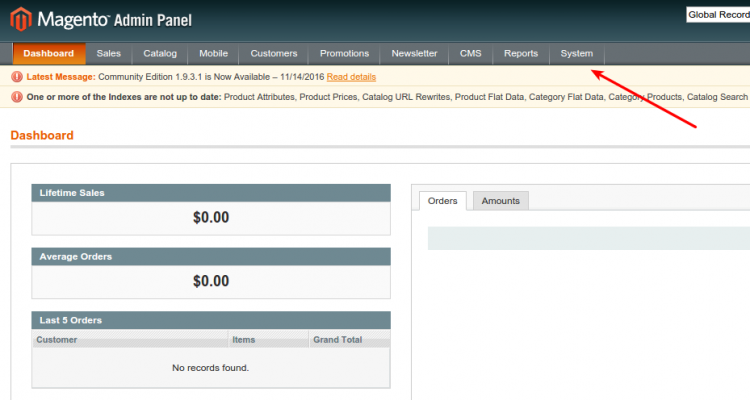 At you admin panel go to the menu and pick up System => Manage Stores. After, on the top right corner press ‘Create Store View’ button. 2. In the ‘New Store View’ fill in the following fields. Select a parent view ‘Store’ from the drop-down menu. If because of certain reasons some pieces of text are not translated into target language, they will be depicted like in a store that is selected here. Fill in the ‘Name’ of a view, e.g. ‘French’. The same name will appear in ‘chose language’ box on the header of your store. Enter ‘Code’ of a view for internal use. Use only lowercase letters in this field. For the ‘Status’ select ‘Enabled’ from the drop-down menu to activate a view. Sort order is an optional field and defines the order in which all the views appear in the ‘language chooser’ box on the frontend. 3. After all the fields are completed click on ‘Save Store View button’ on the top left corner. 1. 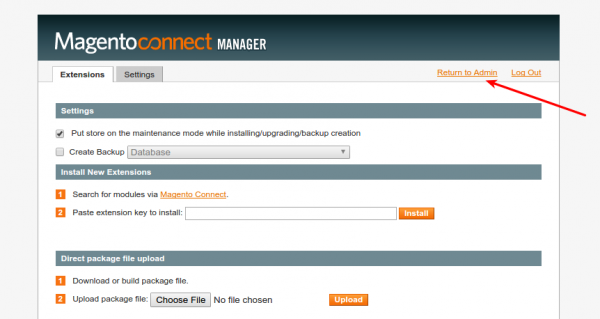 On you admin panel go to the menu and pick up System => Configuration. On the top right corner find ‘Current Configuration Scope’ box and select from the drop-down menu the view you need to modify. In our case, it is named ‘French’. 2. Click on ‘Locale Options’ to expand them and perform the following setups. Clear the ‘Use Website’ checkbox that is on the right to the ‘Locale’ field. The other two checkboxes leave as they are. Go to the ‘Local’ field and choose a language from the drop-down menu you want to associate with a view. For us, it will be ‘French (France)’ option. 3. After setups are completed, press ‘Save config’ button on the right upper corner. Now you can go to your store frontend to check the results! 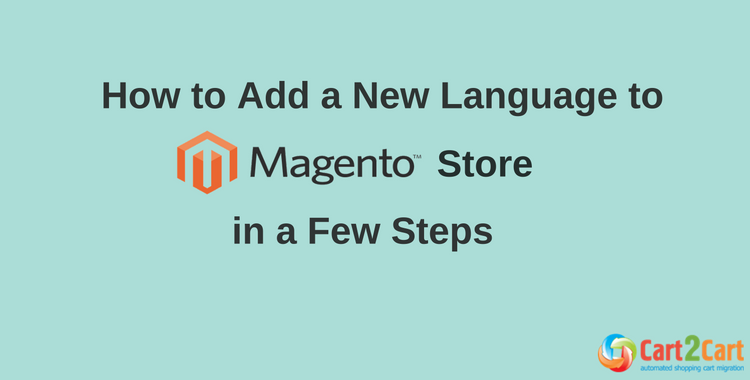 As far as you can see, adding a new language to Magento store is a breeze. Everything is done a via a user-friendly interface and without making any changes to the core files. 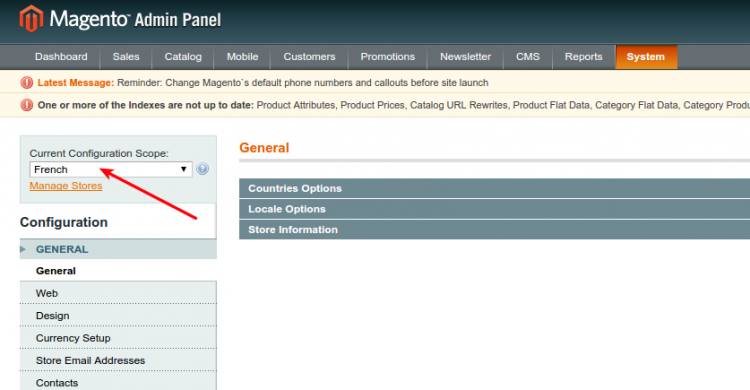 Take advantage of abundant e-Commerce possibilities by setting up your multilingual Magento store with Cart2Cart. Try out an absolutely Free Demo migration and only in 30 minutes you will be able to evaluate your new shop and experience personally the benefits of going international!